LIVERPOOL CELEBRITY JEWELLER, HOUSE OF DASH TO UNVEIL NEW COLLECTION, JUST IN TIME FOR CHRISTMAS. 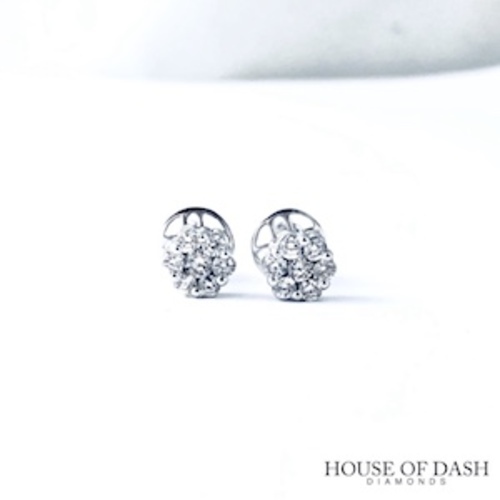 Liverpool fine jewellery house, House Of Dash, to release a diamond earring collection branded “The Caviar Collection.” On December 7th 2018, the collection, specifically designed for pierced ears, will be accessible on the official House Of Dash website. The name of the collection derives from sturgeon roe, Caviar. The setting used for the earrings is known as a pressure setting, meaning there are no visible gaps between the diamonds, mimicking the exotic delicacy. “This intricate technique creates the illusion of one solitaire stone. But in fact, seven are housed within the mounting.” Said Quincy Dash, Creative Director. The Caviar Collection is constructed in 18k Gold Alloy and is available in three metal colours - White Gold, Yellow Gold and Rose Gold. Set with premium handpicked colourless diamonds and finished with screw back fasteners for absolute security. Wearable on any occasion, with opportunity to go bigger in size without breaking the bank. Makes the collection the perfect gift and fashion accessory this festive season. HOUSE OF DASH is a trusted private jeweller based in Liverpool, Merseyside. With its private office located within the business district. Founder & Creative Director, Quincy Dash is an IGI Certified diamond graduate from Antwerp’s prestigious International Gemological Institute (IGI). Established in 2014, HOUSE OF DASH specialises in certified conflict-free diamonds (GIA, HRD & IGI) and pre-owned luxury timepieces. With celebrity clients ranging from Shawn Stockman, The Sing-off judge and ⅓ of the US Grammy Winning group Boyz II Men. To American cable network TLC’s, Emmy winning show, Overhaulin host Chris Jacobs. Plus much more. For media enquiries, please contact Quincy Dash on Quincy@houseofdash.com or 0151 205 1027. This press release was distributed by ResponseSource Press Release Wire on behalf of House of Dash in the following categories: Men's Interest, Women's Interest & Beauty, Retail & Fashion, for more information visit https://pressreleasewire.responsesource.com/about.